Some of us have to deal with diarrhea more than others but most everyone experiences it at some point. 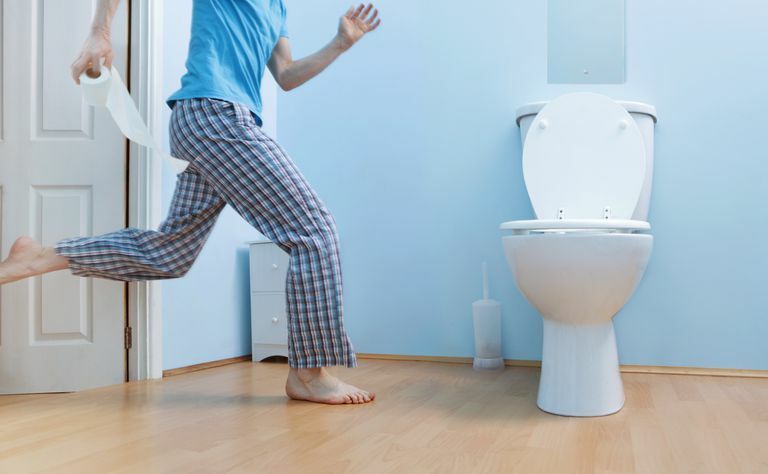 If you or someone you care for has diarrhea, do you know what to do about it? We have information about common causes, what you should expect and what you can do to get relief. Diarrhea can be caused by many things. Most often it is caused by a stomach virus like rotavirus (more common in kids) or norovirus (more common in adults). It can also be caused by bacteria such as E. coli or salmonella. Many people think the flu causes vomiting and diarrhea but it usually doesn't. The flu (influenza) is a respiratory illness. The commonly referred to "stomach flu" is just another name for gastroenteritis or stomach virus. Chronic conditions can also cause diarrhea. These may include inflammatory bowel disease (IBD), Celiac disease, Crohn's disease and ulcerative colitis among others. If you have any of these conditions or think you might contact your healthcare provider to determine the best options for dealing with your symptoms. Diarrhea usually isn't serious and clears up on its own - at least in the developed world. It is actually one of the leading causes of death in young children in developing countries. The most common concern with diarrhea is the possibility that it can be so severe that it causes dehydration. Usually, this happens when it is accompanied by vomiting, but diarrhea alone can cause dehydration as well - especially in infants. Most of us don't need medical treatment when we get diarrhea. It typically resolves on its own within a few days. But there are things you can do to help. Following the BRAT diet means you eat bland, starchy foods. BRAT stands for bananas, rice, applesauce, and toast. These foods are all easy on the stomach and can bulk up the stool. You don't have to stick to only these foods - but foods that are similar are best when you have diarrhea. Avoid greasy, spicy or sweet foods. It's important to replace the fluids you are losing through diarrhea. This means you'll need to drink even more than normal in most cases. Drinking fluids that contain electrolytes (such as Gatorade or Pedialyte) is best because they replace nutrients that your body is losing through diarrhea. There are over the counter medications available that can help reduce the frequency and discomfort of diarrhea. Common brand names include Pepto-Bismol, Immodium, and Kaopectate. You should not take these medications if you have bloody diarrhea or if it has lasted longer than 2 days. These medications should not be given to children without specific instructions from the child's health care provider. Another over the counter treatment option that may help with diarrhea is probiotics. These supplements are not technically medication but have shown some benefits in clinical trials. The bottom line is, we all have to deal with diarrhea sometimes. It isn't pleasant but it usually isn't serious either. If you are still concerned about your diarrhea, be sure to contact your health care provider. "What I Need to Know About Diarrhea". Digestive Diseases 25 Nov 13. National Digestive Diseases Information Clearinghouse (NDDIC). National Institute of Diabetes and Digestive and Kidney Diseases (NIDDK). National Institutes of Health. US Department of Health and Human Services. "Diarrhea." Infections For Parents 2014. KidsHealth. The Nemours Foundation. "Diarrheal Diseases - Acute and Chronic". Digestive Health Topic Dec 12. American College of Gastroenterology. "Diarrhea". Health Issues 4 Jun 13. Healthychildren.org. American Academy of Pediatrics.